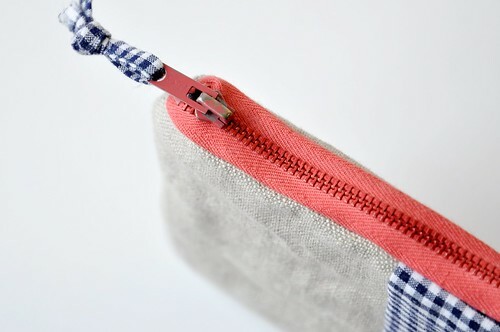 I finished my little project today: a zakka inspired zippered pouch. 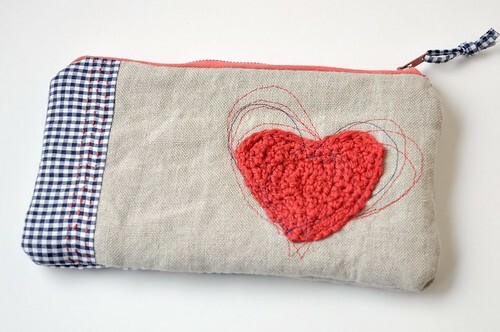 It was fun and easy to make. 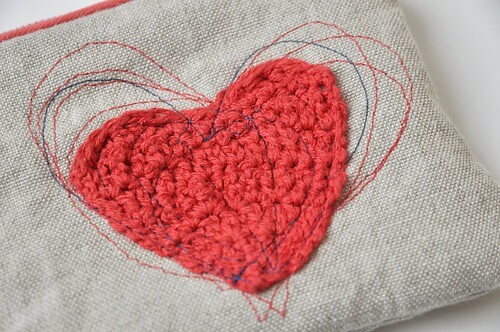 For the past week or so, I had been thinking of something to use my crocheted hearts for. 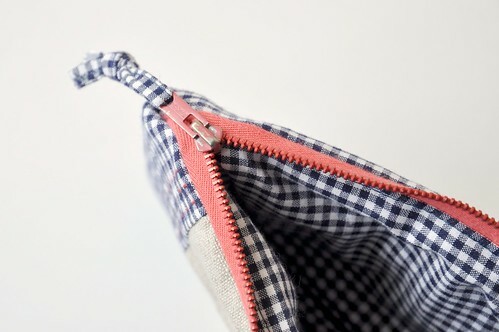 It was only when I visited Eloleo's blog and saw her latest creation with free-style embroidery, that all pieces fell into place. 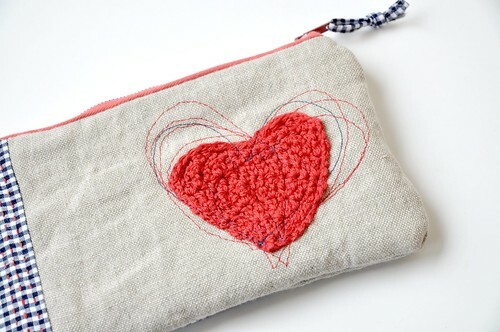 A zippered pouch with the heart free-style embroidered onto it! So here it is! 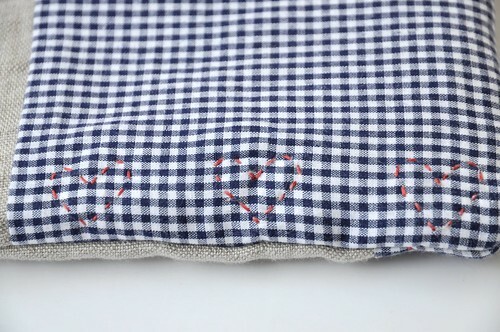 And the second best part are the three little hearts in the back.